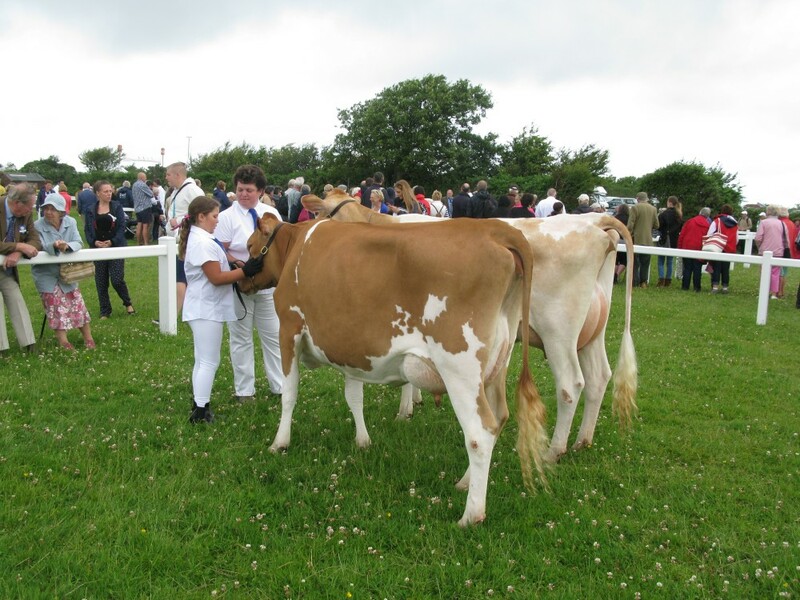 It was a pleasure to be asked to judge Stithians Show as it has always been a show for good quality and quantity of Guernsey cattle. With Tredinney out along with a few other “no shows” on the day, the quantity was down but the quality certainly wasn’t. Two exhibitors brought 6 cattle forward for me to judge, Nicola Bottom’s Trewarnevas Herd and Pam & Dawn Coryn and John Pollard of the newly established Lucky Cow herd. 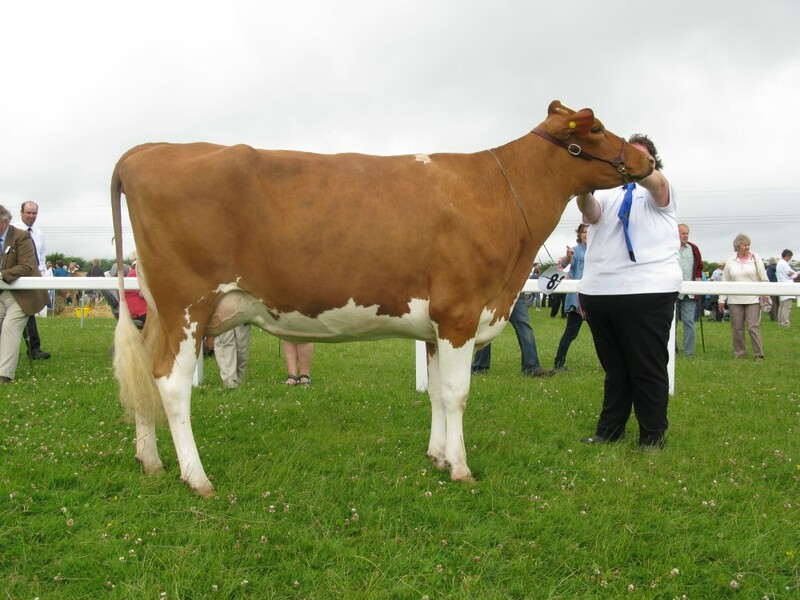 I found my Champion in the heifer in milk class winner, Hamps Valley Annabelle 7 by Ghengis from Coryn and Pollard and in reserve was the second placed heifer in milk, Trewarnevas Hercules Polyanthus. First class of the day was for calves born after August 1st 2013 with one entry forward from Trewarnevas. 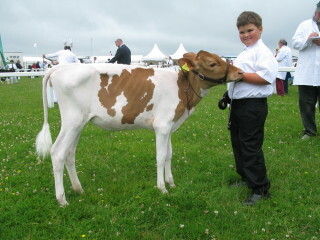 Shown by James Bottom, Trewarnevas Thorn Linnette was pretty little calf with lots of dairy quality. She is by Trewarnevas Thorn, a home bred bull who is a grandson of Beechgroves Elijah. Next came the Maiden Heifer class again with one forward from the Bottom’s, Trewarnevas Lightening Annie by Maradore T LES Lightening. Well deserving of her 1st place with lots of strength, promising body depth and walked on good legs and feet. 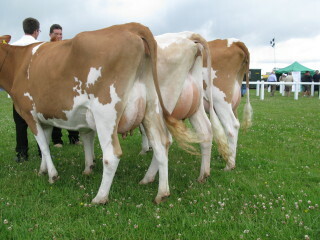 The third class of the day was well worth the trip to Cornwall with 4 fantastic heifers in milk to place. With quality and not much between the first and fourth placed animals, this class made me scratch my head. 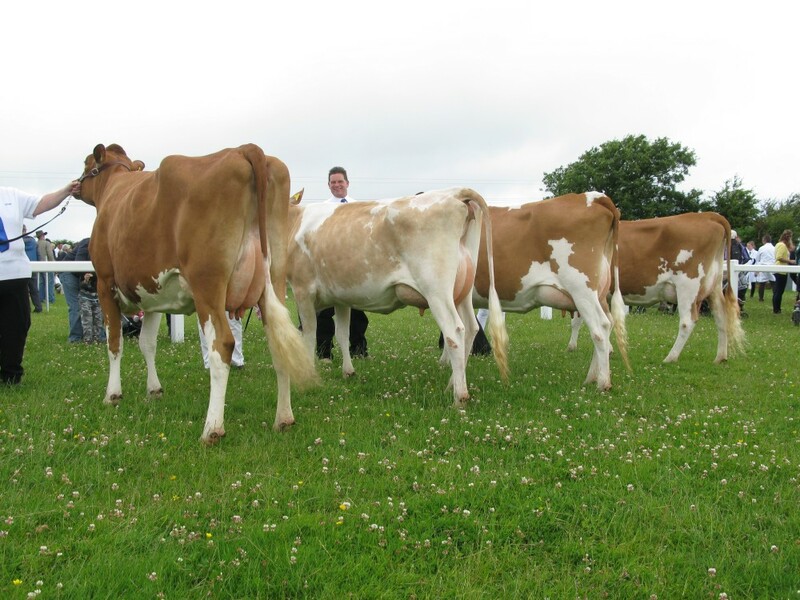 In the end, her scope, style, strength throughout the front end and teat quality with the ability to parade on good legs and feet, gave Annabelle form the Coryn/Pollard camp, the advantage over Trewarnevas Hercules Polyanthus who had the best udder in the class. She was full of milk with a strong ligament and a lovely height and width of rear udder. I just felt Annabelle was showing more maturity and strength through the front end, but this junior heifer from Nicola will no doubt mature into an awesome heifer in a few months time. Third place went to Trewarnevas Amir Day, this heifer again was full of milk with good depth of body and walked well, but it was the over all balance and width through the pins that gave Polyanthus the advantage over her. 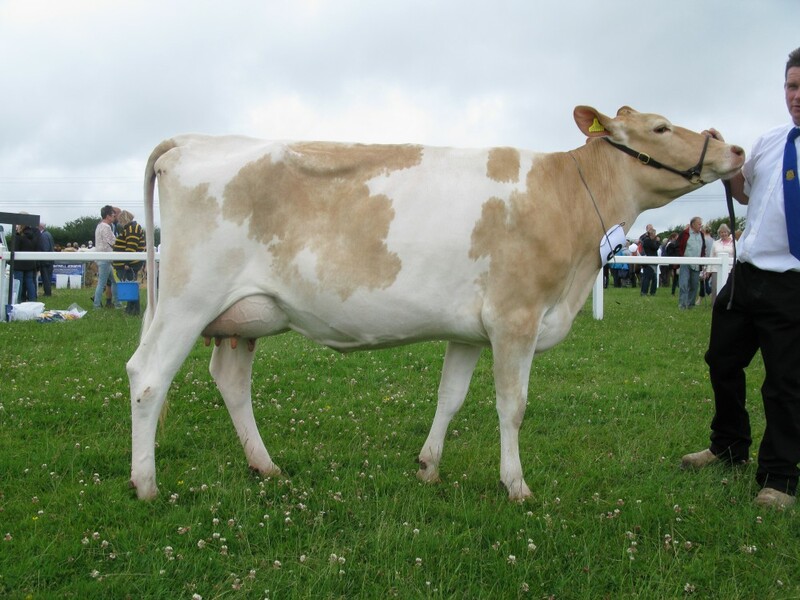 It was the dairy and udder quality which gave the third placed heifer the advantage over fourth placed, Trewarnevas Hercules May, who like her previous herd mates had plenty of femininity and will mature into a very good heifer. This being my only milk class, I awarded the Champion Prize to Annabelle and reserve to Polyanthus. 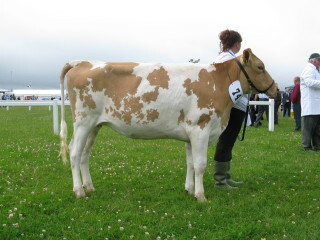 Guernsey Champion, Hamps Valley Annabelle 7. Reserve Champion, Trewarnevas Hercules Polyanthus. Both Group and Pair classes had one entry from the Bottom’s. Thank you to all exhibitors and helpers for attending and turning out their animals so well.